Seriously, look at this picture, how gorgeous is this momma and her girls? This is Chantelle Becking, my guest on Episode 4 of the 20,000 Words podcast! Chantelle is the mom of 5 girls, that she and her husband, Eric have adopted internationally as well as through foster care. They may look picture perfect, but Chantelle will be the first to tell you they are everything but. Tasking risks and “living adventurously” is hard but so worth it. 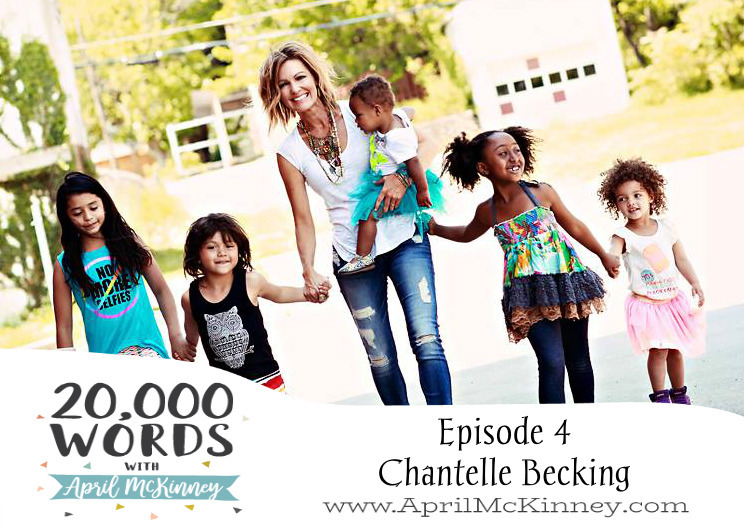 She shares more about their journey on this episode, it’s challenging and encouraging especially for all the mommas out there. Don’t forget to follow Chantelle and her family at Becking Clinic on Facebook to read some of her super honest writing, see videos of their crazy-fun clan, and more. Now, go listen to this episode with Chantelle, you won’t regret it!